Draft: 2007, Philadelphia Phillies, CAth rd. Travis E. d'Arnaud graduated from Lakewood (CA) High School...His older brother, Chase, played in 42 games for the San Francisco Giants in 2018...Was a three-time All American at Lakewood from 2005-2007...Played for Team USA in the IBAF Baseball World Cup in Panama in 2011...Trekked to Spring Training in 2016 in an RV from California to Port St. Lucie...Made stops at the Grand Canyon, Austin, TX and New Orleans, LA. Made four starts behind the plate before suffering a partial tear of the ulnar collateral ligament in his right elbow...Was placed on the 10-Day Disabled List on April 11 and transferred to the 60-Day Disabled List on April 13...Missed the rest of the season...Underwent Tommy John surgery on April 17 to repair a torn UCL in his right elbow...Mets Medical Dr. David Altchek performed the procedure at the Hospital for Special Surgery...Made his fifth career Opening Day roster...Batted .200 (3-15) with a homer and three RBI in four games. Was on the 10-Day Disabled List from May 5-May 24 with a bruised right wrist...Set career-highs in home runs (16), RBI (57) and games played (112)...His 16 home runs were tied for sixth-most among NL catchers while his 54 RBI as a catcher were also sixth-most in the NL...The last Mets catcher with 16 or more home runs in a season was Mike Piazza, who had 19 in 2005...Made his fourth career Opening Day roster...Nine of his 16 home runs this season either gave the Mets a lead or tied the game...Hit .302 (26-86) with eight doubles, three home runs and 19 RBI vs. lefthanded pitching...Batted .293 (29-99) with eight doubles, six home runs, 20 RBI and 13 runs scored over his final 32 games of the season dating to August 17...Surpassed his RBI total from 2016 (15) by the end of April (16 in 2017)...According to Elias, since 1920, when RBI became an official statistic, he was the first player to exceed his RBI total from the previous year by April 30 of the next season (min. 275 plate appearances)...In 20 games in September, he batted .297 (19-64) with five doubles, six home runs, 19 RBI and a .343 OBP...His six home runs were tied for eighth-most in the NL during September while his 19 RBI were tied for 11th-most...The six home runs and 19 RBI in September were both his highest totals for any month in his career...Had a career-high four hits and four RBI on April 13 at Miami... Hit a go-ahead, solo homer in the 16th inning to give the Mets the lead (and eventual win)...His 16th-inning home run was the latest home run hit by a Mets player in terms of innings since May 23, 2006, when Carlos Beltrán hit one in the 16th inning vs. Philadelphia, and latest ever for a catcher who had caught the entire game...Research courtesy of Elias...Became the third player since 1920 (when runs batted in became an official statistic) to collect at least four hits and four RBI, including a game-winning home run in the 16th inning or later, in one game...George Brett did so against the Orioles on May 28, 1979 and Adrián González did so vs. the Reds on May 25, 2008...Research courtesy of Elias...Was the first Mets catcher to collect at least four hits and four RBI in a game since Mike Piazza recorded five hits (four as a catcher before moving to first base later in the game) and four RBI on April 7, 2004 at Atlanta...Went 2-3 with his first career multi-homer game and a career-high five RBI on April 28 at Washington...The last Mets catcher to drive in five or more runs in a game was Paul Lo Duca, who drove in seven runs on September 4, 2007 in the Mets 11-7 win at Cincinnati...Turned in his second career multi-homer game on September 22 vs. Washington...Made his first professional start at third base on August 16 vs. the Yankees...Also played second base during the game...Is the fourth player in Mets history to appear in games at third base, second base and catcher in the same season... The other three are Jeff McKnight (1993), Tucker Ashford (1983) and Alex Trevino (1979-1981)...Threw out 11-of-88 potential basestealers (17 percent). Made his third career Opening Day roster...Was on the 15-Day Disabled List from April 26-June 21 with a right rotator cuff strain after leaving the game on April 25 vs. Cincinnati...In his 73 games behind the plate, Mets pitchers had a 4.27 ERA (292 earned runs/615.2 innings)...Batted .264 (51-193) with seven doubles and four home runs off righthanded pitching...Hit .190 (11-58) with no extra-base hits off lefthanded pitching...Hit .282 (20-71) with two home runs, four RBI and 12 runs scored in 19 games during August...Matched his career and season-high of three hits on August 15 at Arizona...Was his second three-hit game of August, fourth of the season and the 12th of his career. Made his second Opening Day roster...Tied his career-high with 41 RBI in just 67 games…Also had 41 RBI in 108 games in 2014... Was the first Mets catcher to have double-digit home runs in back-to-back seasons since Mike Piazza in 2002-03... Went on the 15-Day Disabled List from April 21-June 10 (metacarpal fracture of the little finger of his right hand) and again from June 21-July 30 (left elbow strain)....Seven of his 12 home runs either gave the Mets a lead or tied the game...Had 20 multi-hit games in 67 games...Hit .333 (15-45) against lefthanded pitching... Threw out 14 of 43 (.326) would-be basestealers... Had a seven-game hitting streak from April 18-June 16, matching his career-high....Suffered injury to the little finger of his right hand on April 19 vs. Miami after being hit by a pitch...Returned to major league action on June 10 and hit .267 (8-30) before a collision with Atlanta's A.J. Pierzynski on June 20 where he left the game with a sprained left elbow....Drove in a run in a career-best six consecutive games from August 21-28 (11 RBI total)...Also scored a run in a career-high six consecutive games from August 19-27 (seven runs total).... Had an 11-game on-base streak from August 15-29...Batted .279 (12-43) with five doubles, four home runs and 12 RBI during the streak...Had a season-high four RBI on September 5 at Miami...Tied his career-high for RBI, previously done on September 5, 2014 at Cincinnati....Made five major league rehabilitation starts with Binghamton (AA) of the Eastern League and batted .300 (6-20)...Also made two rehabilitation starts with Las Vegas (AAA) of the Pacific Coast League and hit .125 (1-8). Had three home runs and seven RBI in 14 postseason games...His three home runs are the second-most by a Mets catcher in a single postseason (Mike Piazza hit four homers in 2000)....Had a fourth-inning sacrifice fly to tie Game 5 of the NLDS at Los Angeles...Hit the first postseason home run in Citi Field history in Game 3 of the NLDS vs. Los Angeles (hit the Home Run Apple)…Went 3-5 with three RBI and three runs scored…His three RBI matched the most RBI by a Mets catcher in a postseason game…Gary Carter did it twice (both in 1986) while Mike Piazza did it once (1999). Named to the Topps' Rookie All-Star team...Made his first Opening Day roster, while also spending time with Las Vegas (AAA) of the Pacific Coast League...Went to the 7-Day Disabled List with a concussion on May 15, retroactive to May 14...Transferred to the 15-Day Disabled List on May 28 and reinstated on May 29...Also did not play after September 23 because of a bone chip in his right elbow...Underwent surgery on September 30 at the Hospital for Special Surgery to remove the chip...Optioned to Las Vegas on June 7...Recalled on June 24 after hitting .436 (24-55) with six home runs and 16 RBI in 15 games for the 51s...Set career-high totals in every offensive category...Finished second among NL rookies with 22 doubles and 38 extra-base hits...His 13 home runs set the franchise rookie-record for home runs by a catcher and were the most by a Mets rookie since 2010 (Ike Davis, 19)...Led NL rookies in home runs, and tied for fourth among all rookies...Became the third Met to lead NL rookies in home runs (Darryl Strawberry, 26 in 1983 and Ron Swoboda, 19 in 1965)...Had two career-long hitting streaks of seven games: June 24-July 1 (9-27, .333) and September 1-September 9 (13-28, .464)...Finished with a career-best three hits five times...First set the mark on June 27 at Pittsburgh...Had a career-best four RBI on September 5 at Cincinnati...Finished third among NL rookies with 41 RBI...Hit .180 (23-128) with three home runs and nine RBI in 39 games before being optioned to Las Vegas...Hit .272 (70-257) with 10 home runs and 32 RBI in 69 games after returning...Stole his first career base on April 25 vs. Miami.Hit a three-run home run on June 24 vs. Oakland's Scott Kazmir in his first game after being recalled from Las Vegas...It was his first Citi Field home run since August 25, 2013...Hit .313 (20-64) with 10 extra-base hits in September...His seven doubles were one off the league lead...Threw out 14 of 72 (19%) potential base stealers...Runners were successful on 11 straight attempts and 27 of 31 to end the season...Tied for the major league lead with 12 passed balls (Yasmani Grandal and Wilin Rosario)...Had three triples, tied for the most in the majors by a catcher with Oakland's John Jaso...The three are also the second-highest single season total in team history by a catcher...Jerry Grote leads with five triples in 1975...Made three major league rehabilitation starts with Binghamton (AA) of the Eastern League. Made his major league debut after opening the season in the minor leagues...Appeared in 32 games in the minors, playing for Las Vegas (AAA) of the Pacific Coast League, Binghamton (AA) of the Eastern League and the GCL Mets (R) of the Gulf Coast League...Hit a combined .286 (30-105) with three home runs and 20 RBI. Suffered a non-displaced fracture of the first metatarsal of the left foot on April 17 that landed him on the minor league Disabled List the next day...Returned July 31. Recalled from Las Vegas on August 17...Went 0-2 with two walks in his MLB debut that night at San Diego. Walked five times in his first three games...That was the most in Mets history for a player's first three games and the most since Rich Becker walked five times in 1993. Collected his first hit in his first game at Citi Field on August 20 vs. Atlanta...Doubled in the eighth inning against Luis Ayala...Hit his only major league home run, August 25 vs. Detroit (Porcello). Delivered his first game-ending RBI on September 15 vs. Miami...Singled home Lucas Duda in the 12th inning to give the Mets a 1-0 win and become the first rookie in franchise history to record a walk-off RBI in a 1-0 victory...Became the first Mets starting catcher to get a walk-off hit in the 12th inning or later since Gary Carter did so in Game 5 of the 1986 NLCS against Houston. Hit .333 (10-30) over his last 10 games, dating to September 14...Also walked five times during the season-closing stretch...Had a .429 on-base percentage. Hit .304 with two home runs and 12 RBI in 19 games for the 51s...Also appeared in seven games with Binghamton (.222, 1 home run, three RBI) and six with the GCL Mets (.318, 0, 5). Threw out five of 24 base runners (21 percent) with the Mets. His season was cut short by injury...Suffered a tear to the posterior cruciate ligament of his left knee...Did not play afterJune 25...No surgery was required...Was ranked the sixth-best prospect in the majors by MLB.com...Named to the Futures Game to represent Team USA...Did not play due to injury...Hit .367 (40-109) in 25 games in May...For the month he had 10 doubles, 10 home runs and 23 RBI...In 21 games in June, he compiled a .341 (29-85) batting mark with four home runs and 18 RBI...Fashioned a .344 (74-215) average vs. righthanded pitching with 13 home runs and 44 RBI...For the year, he had one, four-hit game, on June 12 vs. Tucson, 17 games with two hits and 10 games with three hits...Had two home runs vs. Memphis on May 18 and May 24 vs. Nashville...Knocked in a season-high four runs at St. Lake City on May 27...With men in scoring position, he hit .305 (29-95)...In addition with runners on, he batted .324, with runners on and two outs, he hit .339 with runners and scoring positionand two outs, he had a .310 mark...Batted .444 (4-9) with the bases loaded...Put together a 14-game hitting streak from April 19-May 4 (21-60, .350)...Also had two, 11-game streaks from May 14-May 27 (20-43, .465) and from June 2-June 14 (20-45, .444). Spent all of 2011 with New Hampshire of the Eastern League (AA)... SERVING NOTICE: Collected several honours over the course of the season, most notably winning an Eastern League MVP award for his proficiency offensively and defensively... Was named to both the Mid-Season and Post-Season Eastern Leaague All-Star teams, while also earning the R. Howard Webster Award as the Fisher Cats MVP... VERY DEFENSIVE: Was voted as the best defensive catcher by Eastern League Managers in Baseball America's "Best Tools" edition... Threw out 27% of potential base stealers... MR. CLUTCH: Was most successful with runners in scoring position, batting .349 with eight home runs and 65 RBI... With the bases loaded batted .462 (6-11) with two grand slams and 15 RBI... When in the lineup as a catcher batted .320, while hitting .259 serving as theDH... Batted over .300 vs. both righties (.302) and lefties (.336)... MINOR SETBACK: Sufferred a torn thumb ligament on his left thumb while playing for Team USA in the IBAF Baseball World Cup in Panama and underwent surgery in mid-October... ON THE LIST: Ranked as the #2 prospect in the Eastern League by Baseball America... Was ranked as the 25th overall prospect by Major League Baseball heading into 2012. Spent the season with Dunedin of the Florida State League (A) in his first season in the Blue Jays organization... OUT OF THE GATE: Earned Player of the Week honours, ending Apr. 18... Batted .328 woth five doubles and three home runs in April... BACK WOES: Did not play between Apr. 25-May 18, spending time on the disabled list with aherniated disk in his back... Returned to the lineup on May 19... ALL-STAR: Was selected to Mid-Season and Post-SeasonFlorida State League teams... Hit lefties for a .353 average with a .924 OPS... With runners in scoring position batted .373(22-59)... On May 28 hit a grand slam in a 5-0 win. Spent the season with Lakewood (A) in the South Atlantic League, his first full season in professional baseball... Posted 52 extra-base hits in 126 games... His 38 doubles were T-1st in the South Atlantic League, while his 71 home runs ranked 9th... Batted .299 (67/224) with 25 doubles from July thru end of season... Recorded a 15-game hittingstreak from July 8-24, batting .379 (25/66) and adding 12 doubles. Began the season with Williamsport (Short Season-A) in the New York Penn League... Appeared in 48 games, batting .309 with 18 extra-base hits and 18 walks... Was promoted to Lakewood (A) in the South Atlantic League on Aug. 15 and spent the balance of the season with the BlueClaws... In 16 games at Lakewood, he added seven extra-base hitsto go with a .297 average... Combined he posted a .305 average with 18 doubles, one triple, six home runs and 30 RBI. Made his professional debut with the GCL Phillies, appearing in 41 games, adding four home runs in 141 at-bats... Began his career with a six-game hitting streak, batting .444 (8/18)... Had nine-multi-hit games and recorded a two-home run contest on Aug. 15. April 7, 2019 New York Mets activated C Travis d'Arnaud from the 10-day injured list. 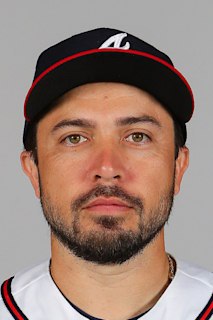 April 4, 2019 New York Mets sent C Travis d'Arnaud on a rehab assignment to St. Lucie Mets. March 28, 2019 New York Mets placed C Travis d'Arnaud on the 10-day injured list retroactive to March 25, 2019. Tommy John surgery. November 2, 2018 New York Mets activated C Travis d'Arnaud from the 60-day injured list. May 24, 2017 New York Mets activated C Travis d'Arnaud from the 10-day disabled list. May 20, 2017 New York Mets sent C Travis d'Arnaud on a rehab assignment to Las Vegas 51s. May 18, 2017 New York Mets sent C Travis d'Arnaud on a rehab assignment to St. Lucie Mets. May 5, 2017 New York Mets placed C Travis d'Arnaud on the 10-day disabled list retroactive to May 3, 2017. Bruised right wrist. March 30, 2017 C Travis d'Arnaud assigned to Las Vegas 51s. June 21, 2016 New York Mets activated C Travis d'Arnaud from the 15-day disabled list. June 17, 2016 New York Mets sent C Travis d'Arnaud on a rehab assignment to Las Vegas 51s. June 5, 2016 New York Mets sent C Travis d'Arnaud on a rehab assignment to St. Lucie Mets. July 31, 2015 New York Mets activated C Travis d'Arnaud from the 15-day disabled list. July 25, 2015 New York Mets sent C Travis d'Arnaud on a rehab assignment to Binghamton Mets. July 23, 2015 New York Mets sent C Travis d'Arnaud on a rehab assignment to St. Lucie Mets. June 23, 2015 New York Mets placed C Travis d'Arnaud on the 15-day disabled list retroactive to June 21, 2015. Sprained left elbow injury. June 10, 2015 New York Mets activated C Travis d'Arnaud from the 15-day disabled list. June 8, 2015 New York Mets sent C Travis d'Arnaud on a rehab assignment to Las Vegas 51s. May 27, 2015 New York Mets sent C Travis d'Arnaud on a rehab assignment to St. Lucie Mets. June 24, 2014 New York Mets recalled C Travis d'Arnaud from Las Vegas 51s. June 8, 2014 New York Mets optioned C Travis d'Arnaud to Las Vegas 51s. May 29, 2014 Travis d'Arnaud roster status changed by New York Mets. May 25, 2014 New York Mets sent C Travis d'Arnaud on a rehab assignment to Binghamton Mets. August 17, 2013 New York Mets recalled C Travis d'Arnaud from Las Vegas 51s. August 9, 2013 Travis d'Arnaud assigned to Las Vegas 51s from Binghamton Mets. July 31, 2013 Travis d'Arnaud assigned to Binghamton Mets from Las Vegas 51s. July 24, 2013 Las Vegas 51s sent C Travis d'Arnaud on a rehab assignment to GCL Mets. April 18, 2013 Travis d'Arnaud roster status changed by Las Vegas 51s. March 24, 2013 New York Mets optioned C Travis d'Arnaud to Las Vegas 51s. October 4, 2012 Toronto Blue Jays recalled Travis d'Arnaud from Buffalo Bisons. September 24, 2012 Travis d'Arnaud roster status changed by Buffalo Bisons. June 26, 2012 Las Vegas 51s placed C Travis d'Arnaud on the 7-day disabled list. March 17, 2012 Toronto Blue Jays optioned C Travis d'Arnaud to Las Vegas 51s. November 18, 2011 Toronto Blue Jays selected the contract of Travis d'Arnaud from New Hampshire Fisher Cats. May 9, 2011 Travis d'Arnaud roster status changed by New Hampshire Fisher Cats. April 26, 2011 New Hampshire Fisher Cats placed C Travis d'Arnaud on the 7-day disabled list. April 3, 2011 C Travis d'Arnaud assigned to New Hampshire Fisher Cats from Dunedin Blue Jays. January 7, 2011 Toronto Blue Jays invited non-roster C Travis d'Arnaud to spring training. September 29, 2010 Travis d'Arnaud roster status changed by Dunedin Blue Jays. August 4, 2010 Dunedin Blue Jays placed C Travis d'Arnaud on the 7-day disabled list. May 19, 2010 Dunedin Blue Jays activated C Travis d'Arnaud from the 7-day disabled list. April 29, 2010 Dunedin Blue Jays placed C Travis d'Arnaud on the 7-day disabled list retroactive to April 27, 2010. April 7, 2010 C Travis d'Arnaud assigned to Dunedin Blue Jays from Lansing Lugnuts. January 13, 2010 Toronto Blue Jays invited non-roster C Travis d'Arnaud to spring training.